1915, 2 d. auf 20 Pfg. 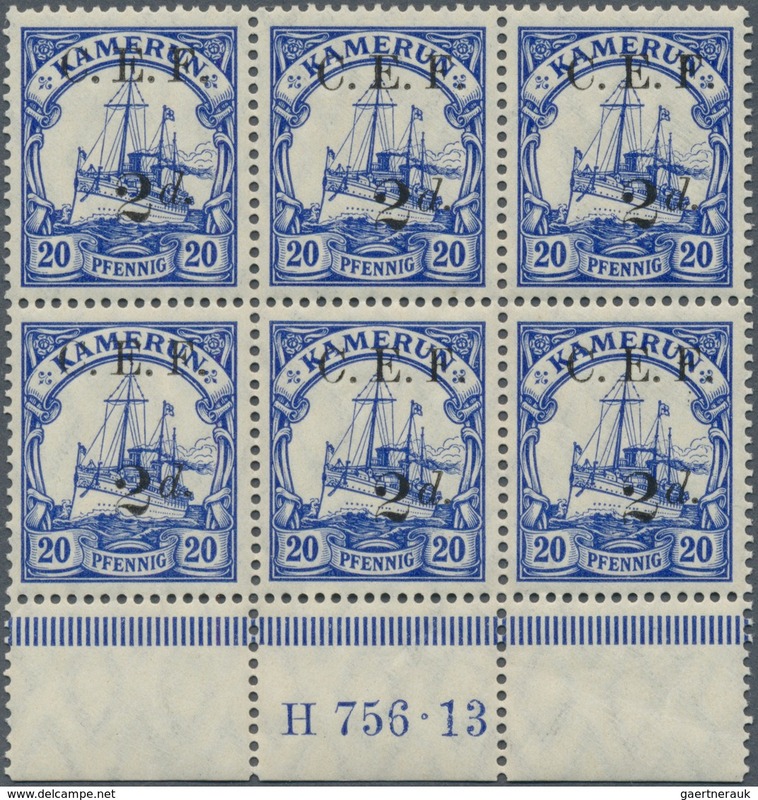 ultramarin im Unterrand-6er-Block mit HAN "H 756.13", postfrisch (mittlere obere Marke Falzspur). ÷ 1915, 2d. on 20pfg. 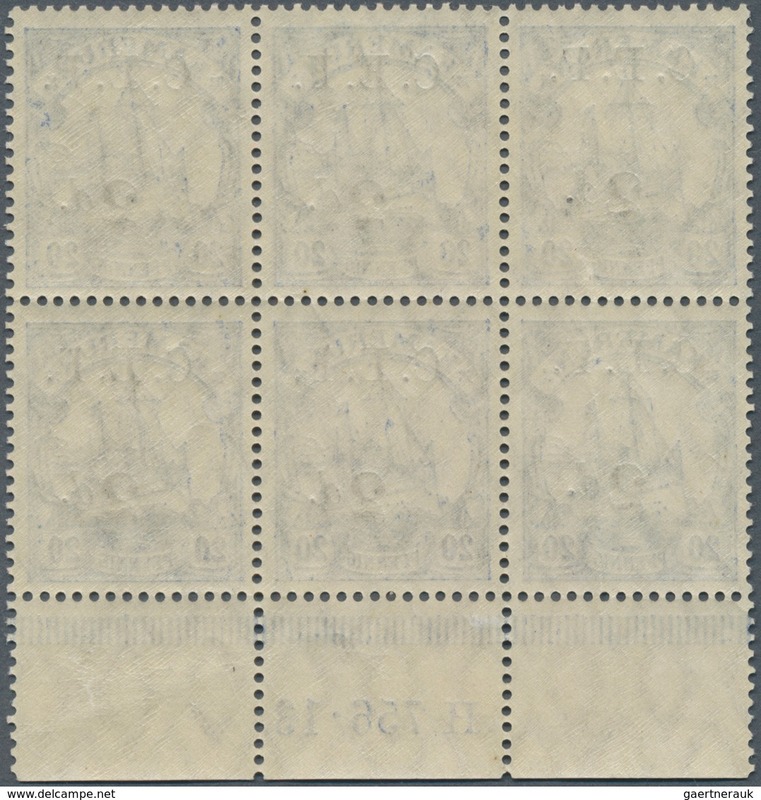 ultramarine, bottom marginal block of six with job number "H 756.13", unmounted mint (top centre stamp previously hinged).